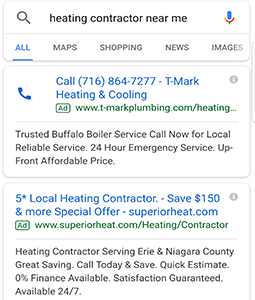 Superior Heat Company is a full-service Heating and Cooling company headquartered in Orchard Park, New York, serving the Erie County community. As a Certified Trane Dealer, Superior Heat is uniquely committed to providing environmentally sustainable installation and repairs for all HVAC products. They needed a marketing company that could match their drive and ambitious business goals and helps them establish as a market leader in their geography. This project had a goal to develop a fully conversion ready website which can be responsive on any device and generate more leads through online marketing. 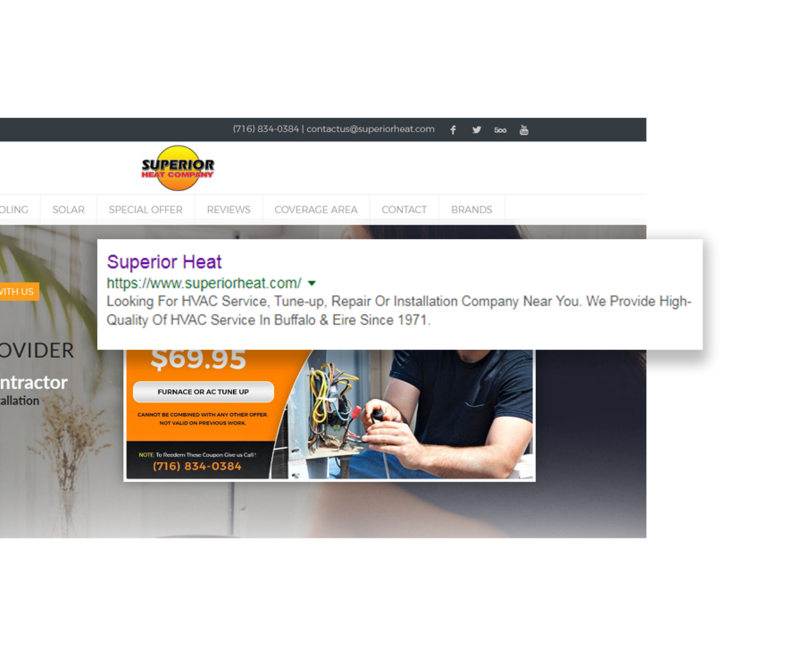 For this project, we decided to take inbound marketing approach through which we developed a fully responsive conversion ready website www.superiorheat.com. To acquire more leads via S.E.O we build hyper-targeted local landing pages so that company can have the more online presence in the targeted area. Due to a large volume of keywords and high competition in the market we also suggest our client to invest in P.P.C campaign. So that client doesn’t miss any market share. The website was built in 2 weeks with engaging content and custom design special offers and all local landing pages. From the day one, we took advance S.E.O approach to get it index by all the search engine. On the other end, P.P.C campaign kick-started with hyper-targeted local keywords. 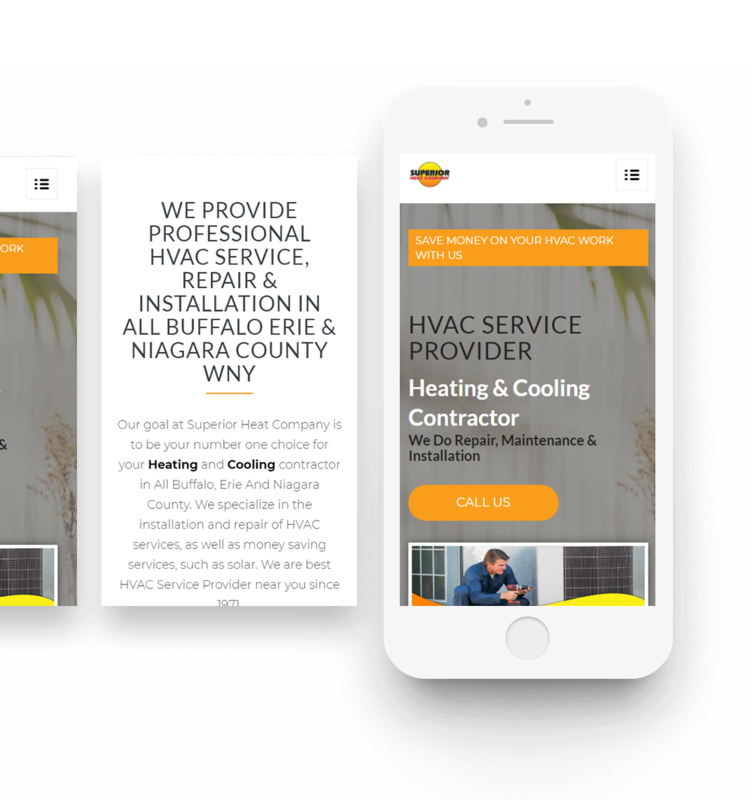 Superior Heat fully redesigned their website, giving it a fresh, clean look and making it compatible with mobile devices. We launched targeted pay-per-click (PPC) ad campaigns to bring in new customers from their targeted local communities. 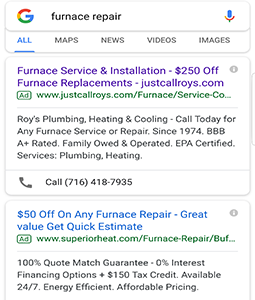 We build local landing pages for all important locations, so that superior heat can show up locally on important search phrase in Google. 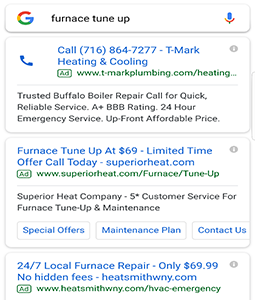 Superior Heat went from getting a flood of low-quality leads to getting the right types of leads that actually produced results. 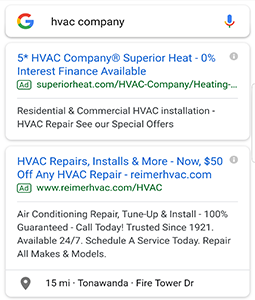 The Heating And Cooling company continues to see a positive trend in the number of new customers, alongside a steady flow of repeat customers, referrals from friends and family, and other offsite listings. 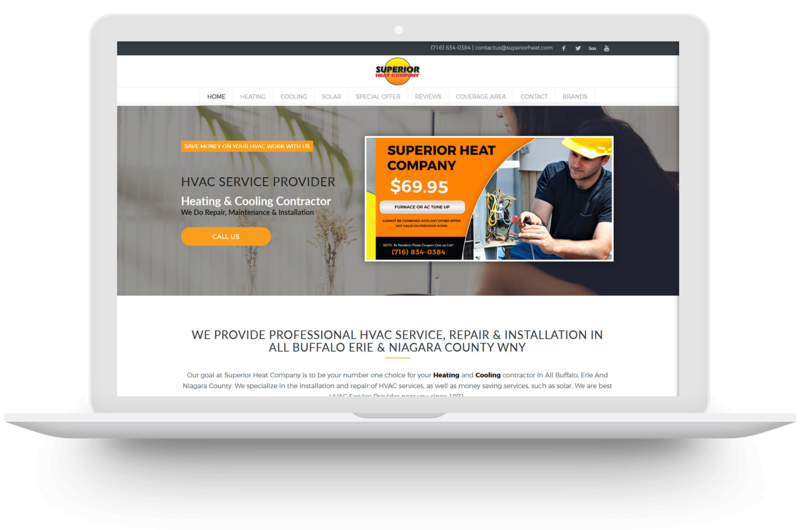 Within just 4 months of partnering with Superior Web Works, Heating Company saw a 48.4% increase in new customers. The company saw a 98.2% increase in PPC click-through rate and increase in PPC conversion rate by 58.4%, and an 78% increase in website visitors.